Movies are an expressive art form and many filmmakers use them as a means to get their messages across. When walking into a movie about a controversial or taboo topic, it’s only natural to assume it will take a position. However, some filmmakers break the mold and like to explore issues within the issues. Last year’s brilliant war film The Hurt Locker never criticized nor praised the Iraq war and instead showed the indisputable effects it has on select soldiers fighting in it. The Kids Are All Right does something similar. It’s about a married lesbian couple with two children, but doesn’t seem to make a statement on homosexuality. It’s simply a story about an imperfect family, like all families, that go through trials and tribulations and must stick together to overcome them. The film’s story is simple. Jules (Julianne Moore) and Nic (Annette Bening) have been married for quite some time. Unable to have children on their own, they go to a sperm bank and artificially inseminate themselves. Both have a baby, producing Joni (Mia Wasikowska) and Laser (Josh Hutcherson). Now they are all grown up and Joni is about to head off to college. Before doing so, she contacts her and her brother’s sperm donor, Paul (Mark Ruffalo). Despite Laser’s initial unwillingness to open up, the three bond. When Jules and Nic find out, they take it upon themselves to meet Paul, but conflicting emotions threaten to tear the once stable family apart. The beauty of The Kids Are All Right is that it treats its characters with respect. It never looks at Jules and Nic as a gay couple. It simply sees them as a couple. They have normal conversations about their jobs. They have problems. They worry about their children and want to share their lives with them. They’re just like any married couple. The filmmakers ensure that their relationship is authentic through and through. Even better is that their mannerisms make sense. When Paul comes into the picture, Nic understands why her kids sought him out, but questions why they felt the need to. Isn’t her love enough? So she becomes upset, especially after meeting him. Paul is unkempt, rugged and says what’s on his mind, though he means well. Still, Nic doesn’t like him. She was content with her family before, but now fears for its survival with him around. Some may argue her behavior is irrational, which is perfectly justifiable, but it’s believable and that’s why the film works. You can understand her point of view, even if she is coming off as a little hot-headed. All of the characters are handled this way, even the uncouth Paul. Because of this, you can relate to each and every person and don’t want to see any of them get hurt, but due to a plot turn (that I’ve purposely skipped to avoid spoilers), that outcome is impossible. Quite simply, the filmmakers do an excellent job of fleshing out their characters. You will relate to somebody in this movie, guaranteed. Even more remarkable are the performances, all of which are spot-on. Although never directly stated, you can tell which child came from which mother because they have similar personalities. Nic’s abrasiveness trickled into Laser while Jules’ easy-going nature clearly penetrated Joni, though both have physical quirks that attach them to their biological father. It’s really quite astounding. So yes, this is a serious film, but not always. At times, it can be rather funny. I laughed quite a bit, especially from some early sexual double entendres, which goes to show how much thought and care went into the film's production. The Kids Are All Right is in limited release and most likely won’t get the audience it deserves, which is a shame. It may be about a gay couple with sperm donor kids, but I'd be willing to bet you'll see a little bit of your family in here too. At the movies, actors are considered the most important to the viewing public because, hey, that's who they're seeing onscreen. Although they do offer considerable depth, films are made by dozens, sometimes hundreds of people. Most do their job off camera and receive little respect for it, even directors in most cases, but not Martin Scorsese. Perhaps the most notable of all living directors, Scorsese has crafted a body work unparalleled in the film world. From Taxi Driver to Goodfellas to The Departed, the man has routinely delivered solid work with films that are largely considered to be some of the greatest of all time. 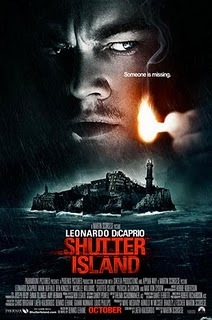 His genius still holds true with his latest effort, Shutter Island, based on the book by Dennis Lehane, a brilliant, haunting tale of morality and mentality that explores the difficulty of living through painful memories and what it means to accept them. Leonardo DiCaprio is captivating as Teddy Daniels, a federal marshal on his way to Shutter Island, a land mass in Massachusetts where a mental institution rests. Along with his partner Chuck, played by Mark Ruffalo, he has been hired to find a missing patient who escaped the previous night. The head psychiatrist of the penitentiary is Dr. Cawley, played by Ben Kingsley, who explains to them that there's no logical explanation for her escape. Her cell door was locked from the outside and the only window is covered with bars. As he puts it, "It's as if she evaporated straight through the walls." After Teddy searches her room, he finds a note that simply says, "The law of 4" and "Who is 67?" As he finds clues, he discovers that not all is as it seems on the island. However, things don't seem right within Teddy either. He is haunted by his troubled past and the atrocities he experienced in WWII a mere 10 years ago, he is having more and more vivid hallucinations of his dead wife, played by Michelle Williams, who burned up in a fire by a man supposedly held at this very institution and he is becoming increasingly weaker as time goes on. He has even been taking pills provided by the institution workers. Is he being drugged? Are they trying to keep Teddy there? If so, for what purpose? He sets out to find the answers, but must act quickly if he ever hopes to get off the island. Appropriately, Shutter Island is like a book that you want to flip to the last page so you can see how it ends. The questions it raises linger and never go away, begging you to find the answers and I wanted nothing more than to skip to the end if only so I could finally find out what was happening. However, if I'm being honest, the ending isn't something that we've never seen. In fact, it's pretty common of any film that takes place in an insane asylum to naturally go this route, so yes, you'll probably figure out as you watch that only one of two endings are even possible and you'll be able to narrow it down to one with your knowledge of how movies generally work, but you'll nevertheless be shocked by its intricacies. It's not a simple case of that's that. It's more like a brain teaser, working in a way that even after you know the answer you have to think back and place the pieces in the correct slot. Much of the astonishment from the ending comes from the terrific acting leading to it, though it would be impossible to delve into why some performances worked so well without giving away vital points of the story. While Ruffalo and Kingsley were great, as was Jackie Earle Haley in a particularly inspired cameo, DiCaprio steals the show. He plays a multi-layered individual dealing with heartache, fear, confusion and a sickness begun from the opening scene where he and his partner drift up to the island on a ferry that increases as time goes on. He mesmerizes in another award worthy performance, especially during the more emotional scenes. Nobody can cry like DiCaprio. Of course, it's impossible to talk about a Scorsese picture without talking about the man's direction. As should be an obvious remark by now, Scorsese directs this picture with a style unseen in Hollywood. If you ask me, he actually tones it down a bit with Shutter Island, never forcing camera movements when it isn't prudent, but rather keeping a steady eye on what's going on, allowing his actors to do their jobs. His stylistic touch was fantastic from the simplest of shots to the recurring motif of flickering lights that can be analyzed in so many different ways you could write a term paper on it. This is a tall claim to be throwing out when you're discussing a body of work as impressive as Scorsese's, but I believe Shutter Island may be one of his best. It's meaningful, enlightening, beautiful and intense all at the same time. It's one of those films that you walk out of and feel like watching again immediately. It's a testament to the skill of the talent involved and it shows that ingenuity still exists in an increasing Hollywood world of sequels and remakes. There's one line of dialogue, the last one in the entire movie in fact, that set my brain racing. It's a line that has stuck with me ever since I've seen it and sparked discussion with those around me. It's a summation of the whole film and really gets to the core of life and the disparity between what can really be considered sane and insane, so I'll leave you with it to ponder over. "Is it better to live as a monster or die as a good man?"